1 pc Colonial Currency, paper money. Edmund Jennings Randolph (1753-1813) signed One Shilling and 3 Pence PISTEREEN note, No. 42592, issued on Virginia. 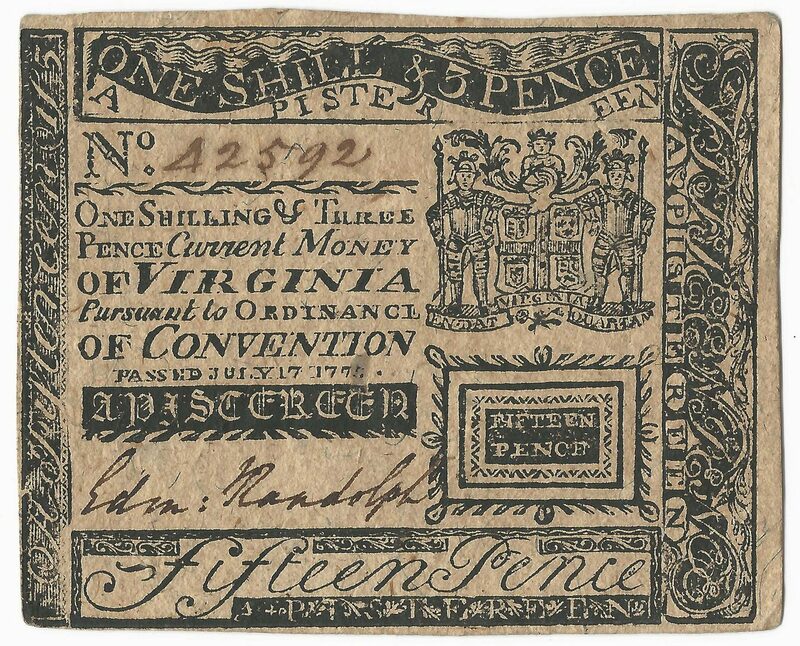 Reads: One Shilling and Three Pence A PISTEREEN Current Money of VIRGINIA Pursuant to Ordinance of CONVENTION passed July 17, 1775. Fifteen Pence. Fifteen Pence, vignette of Virginia Colony Coat of Arms, top right. Signed, lower left. 3" H x 3 1/2" W. Late 18th century. CONDITION: Overall excellent condition. 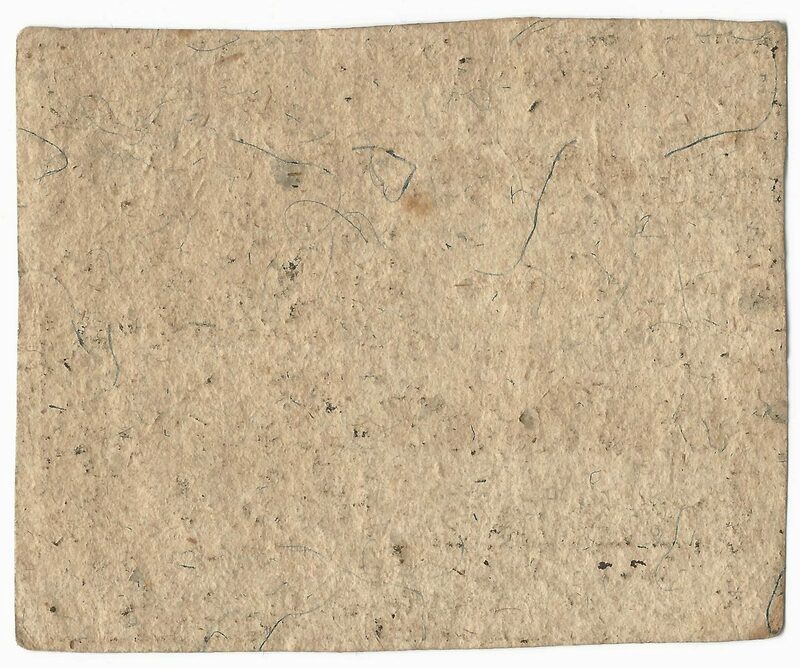 Mylar residue, largest 1/16", surface of note.